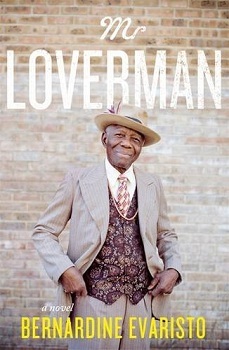 Bernardine Evaristo’s brilliant Mr Loverman is about Barry, a seventy-four year old Antiguan man who’s spent most of his life in Hackney, London. Barry is gay, and has been in a relationship with Morris — nominally his best friend — since the two were teenagers. He’s also married to Carmel, with whom he has two daughters. His wife has been aware that there’s something not right with their marriage for a very long time, but neither of them has been able to put the facts into words. Mr Loverman follows Barry as he gets ready to tell Carmel the truth and live openly with Morris; it also follows Carmel as she looks back on her time in England and prepares to make crucial decisions about her future. Mr Loverman came with a very strong recommendation from a trusted friend, who told me it was up there with Rita Williams-Garcia’s writing when it comes to portraying multiple truths with empathy and fairness. Even the title makes reference to the many contradictory strands Mr Loverman contains: the novel is named after a deeply homophobic song that nevertheless became Barry and Morris’, and that the two share during some of their most tender moments. Evaristo does indeed excel at honouring the complexity of one man’s life, and she does this without ever diminishing the people who surround him and who are affected by his actions. Barry and Carmel are both complicated people: Barry is a misogynist, and Carmel is deeply homophobic. Nevertheless, they’re both human: they’re fallible but deserving of respect; they hurt each other but they’re sometimes able to be generous; and they both benefit from different forms of privilege while being held back by different systems of oppression. Barry and Carmel’s stories are told through alternating points of view, and Carmel’s chapters add a lot to the novel. They delve on her life and on the lives of her closest group of friends — all women who were part of London’s Caribbean immigrant community from the 1960s onwards. In addition to gender and race, their struggles are deeply informed by class; throughout the decades we watch their experiences begin to differ as different advantages or disadvantages pile on top of each other. As for Carmel, one of the key sources of hurt in her life comes from the fact that her marriage to Barry often prevents her from investing elsewhere emotionally. Barry himself eventually acknowledges that he shouldn’t have let her keep on trying to fix things when the key thing that distanced them was not something that was ever going to be fixed. It’s significant that the happiest period of Carmel’s life comes during the years she spends at a satisfying local government job. She makes friends at work, and eventually there’s a romance too — but the most important thing is the widening of possibilities that her new circumstances bring her. Morris is a sensitive fella but not hypersensitive, because that really would make him more woman than man — especially at a certain time of the month when they get that crazed look in their eyes and you better not say the wrong thing in the wrong way. Actually, even if you say the right thing in the right way they might come after you with a carving knife. However, at the same time he describes being the primary caregiver for his daughter Maxine as a baby when Carmel was incapacitated by post-partum depression as the most rewarding time of his life. There’s also what he does for his daughter Donna’s friend, a young lesbian he admires for being out: years later, when she’s fallen on bad times, Barry turns her life around by giving her a place to live for no more than a peppercorn rent until she’s back on her feet. It’s not infrequent for there to be a gap between people’s experiences and their professed beliefs — this is the space these contradictions inhabit. Mr Loverman does nuance right — it never uses it as a free pass, but it presents it as another layer that adds to our understanding. Barry, like so many human beings, contains multitudes, and this is a novel that does justice to them all. By the end I genuinely wished him well, and I appreciated that the story didn’t require me to minimise the hurt he caused others to do that. That’s the thing about equal rights: they’re not rewards for being an unfailingly good person but basic points of deparure. I never stopped wanting a safe world for Barry, even if I couldn’t always like him. Lastly, and without giving too much away, I just wanted to say I adored the ending. Barry and Morris decide to let go of past hurts, and it’s a letting go based on equality. No one is forced to forfeit legitimate grievances, and no imbalance is perpetuated. Instead, there’s tenderness and hope and forgiveness, and a mutual decision to “enjoy the vibes”. If I had more courage, I would hold Morris’s hand for, say, one second, though. All of my life I’ve watched couples holding hands, kissing in the street, on the bus, in pubs. I’ve watched couples walking arm in arm, ruffling each other’s hair, sitting on each other’s laps, dancing closely, romantically, jazzily, funkily, badly, bawdily. And never, not once, have I felt able even to link arms with the man I love. It is our first public display of physical affection in sixty years. They read it too: 1330v, you? "That’s the thing about equal rights: they’re not rewards for being an unfailingly good person but basic points of deparure." YES! I've read about this book somewhere last week and I'm just glad I didn't skip the cover and text after that title :D But your review just makes me want to read it right now, it sounds so wonderful especially with the complexity of the characters. Well, okay, I am somewhat won over by the reference to my man James Baldwin. Remind me, have you read James Baldwin? I think you would like him if not! He's wonderful! His writing! That dude! I asked my library to order this book a while ago, and they duly did it, and then I read the first few chapters and didn't love it and returned it. I felt guilty, except luckily the library can't tell the difference between a book I checked out and read and a book I checked out and didn't read. And anyway, I'll retry it now. Because you say so. I trust you. Aww, I hope you have better luck next time! Let me know how you get on with it. I don't buy all that many books anymore (relative to what I used to anyway), but this is a book I had to have after I read Natasha's review. But it has languished on my shelves ever since (one of the reasons I acquire fewer books these days is because this happens so often). Your exquisitely insightful review has definitely moved this one up to the front burner again. 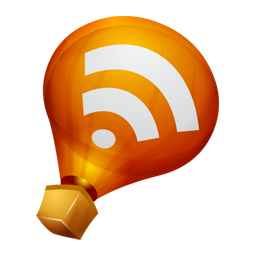 I hope you like it (and I think you will)! I'm so looking forward to this - it's one of those books I've been stupidly saving for a rainy day. I love Evaristo so much. Have you read her free verse novel The Emperor's Babe? I think you would like that too. I haven't, but I remember reading a great review a while ago (possibly Aisha's?) and thinking I should. I'll definitely seek it out! Yay! So glad you enjoyed it after I built it up so much (I am terrible at managing hype). I want to read the verse novel Victoria mentioned, ever since I saw it reviewed at EA. I've been curious about this book. I found Evaristo's The Emperor's Babe intriguing when I read it many years ago.